Vietnam and the European Union (EU) will push ahead with the review of legal documents toward the signing and application of their bilateral free trade agreement (EVFTA) in 2018. 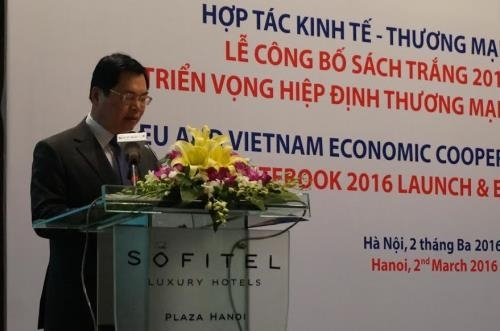 Minister of Industry and Trade, Vu Huy Hoang, was speaking at a ceremony to publish the White Book on trade and investment in Viet Nam in 2016. The event was held in Ha Noi on March 2 by the European Chamber of Commerce (EuroCham) and the Vietnam Chamber of Commerce and Industry (VCCI). 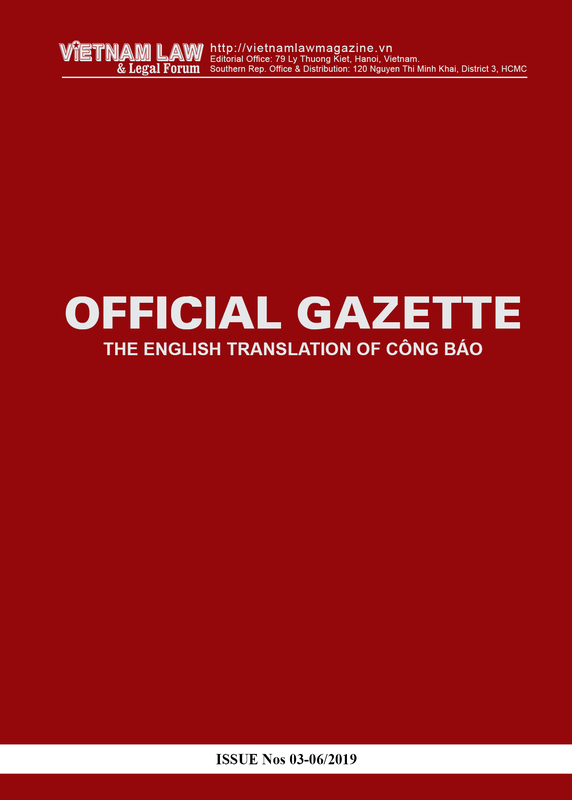 He raised the fact that two-way trade increased tenfold from USD 4.1 billion in 2000 to USD 41.4 billion in 2015, making the EU one of the top trade partners of Vietnam. The union is also a big foreign direct investor in Vietnam with 2,162 valid projects worth USD 38.4 billion, he said, adding that the mutual support in Vietnam-EU trade and investment ties will help further bilateral co-operation after the signing of the EVFTA. Ambassador and Head of the EU delegation to Vietnam Bruno Angelet said the EVFTA would activate a new wave of better-quality investment from the EU into Vietnam, which, he said, must be supported by Vietnamese private businesses to boost the country's deep integration. EuroCharm Chairwoman Nicola Connolly said the attractiveness of Vietnam to foreign investors is undeniable as the Southeast Asian country is incessantly improving its business climate. However, more reforms are needed to maintain the country's development, she added. EU representatives suggested Vietnam develop human resources via vocational training as well as increase productivity and improve capital distribution. This is the 8th edition of EuroCham's annual advocacy publication on Trade, Investment Issues and Recommendations. 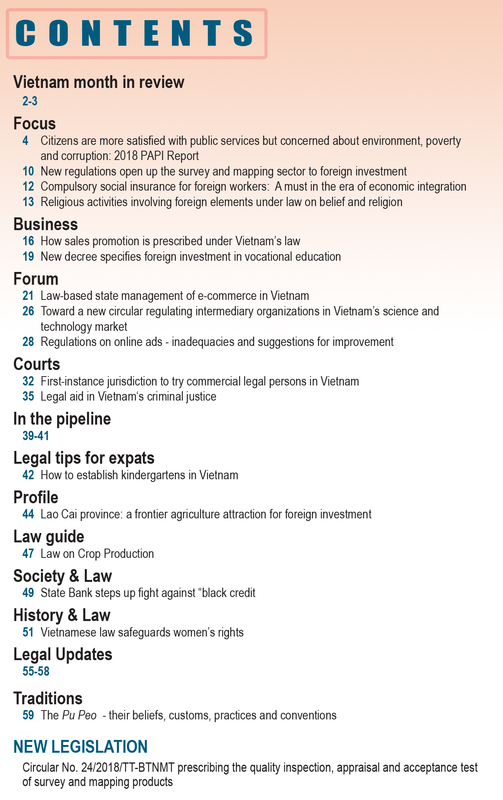 The edition contains 22 chapters and is a collective expression of the views of EuroCham member companies, which operate in a wide range of industries in key issues of FDI, business administration, energy, and green growth, apart from human resource development, intellectual property right, merger and acquisition, and public-private partnership. They also operate in transport, logistics, taxes and customs. The White Book 2016 highly values positive improvements in legal documents on taxes such as incentives for business expansion and enterprises in industrial parks, personal income tax and value-added tax. Relating to the customs sector, EuroCham companies support changes in the Law on Customs. 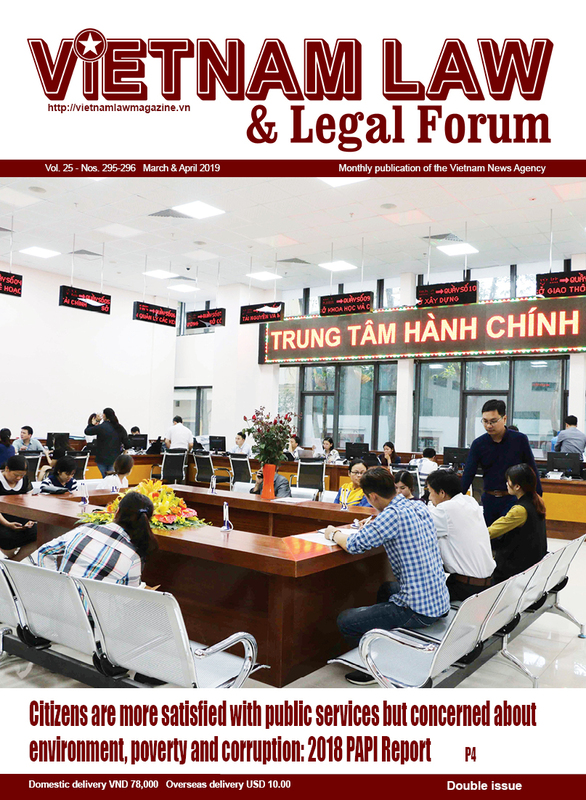 The application of the Vietnam Automated Cargo and Port Consolidated System (VNACCS/VCIS) has helped customs offices implement a range of risk management systems, increasing control on smuggling and illegal trading. In addition, the system also helps cargoes with less risk quickly complete customs clearance procedures.